A quarrel over allegations of stealing ganja led to the murder of a migrant labourer by one of his friends here today. According to police sources, the deceased, Bezar, was a resident of Bihar and was working at the dairy of Kuku on the Tajpur road. Two persons died under mysterious circum stances in separate incidents in the city here today. According to police sources, 55-year-old Surjit Singh, a headmaster at a school at Phav Bhora village, was killed on the spot when the double barrel gun he was cleaning, went off accidentally. He was rushed to the hospital where doctors declared him brought dead. 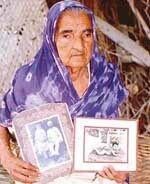 Belying the claims of the state government that it has forwarded a Ludhiana-based INA veteran’s pension case to the Ministry of Home Affairs, the ministry has stated that it has not received any such case. The computer and telecommunication wing of the state police has established a working group to implement the common integrated police applications (CIPA) and e-governance program. Practical training of the constituents has been started. Bringing smiles on the faces of slum children, who had been studying in a school run under a flyover, the Education Department has started constructing walls on both sides of the bridge to save them from the vagaries of weather. Mr A.S. Rai, who took over as Senior Superintendent of Police, here, today has said he would ensure law and order at all costs. Cosmetology has come up in a big way to give a new smart look to individuals as skin-care products and agents have become a billion-dollar industry the world over these days. Of late, cosmetology has travelled a long distance and those looking for a soft, fair, glowing and spotless skin have a lot more choices. The Shiromani Khalsa Dal (SKD) and Dal Khalsa have condemned the management of a gurdwara in Ludhiana which honoured one of the aides of self-styled Baba Bhaniarewala with a siropa. Members of the European Union parliamentary delegation have predicted greater cooperation amongst the South Asian countries on the pattern of the European Union. The members were addressing a civic reception organised in their honour at the Satluj Club by senior Akali leader and former MP Amrik Singh Aliwal. 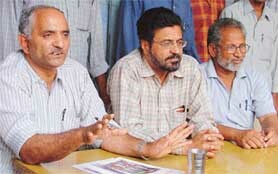 In protest against the increasing exploitation of workers by employers, the blatant violation of labour laws, police repression and the failure of the government to accept their genuine demands, more than five lakh industrial workers and labours at the brick- kilns in the state would go on strike on April 20. 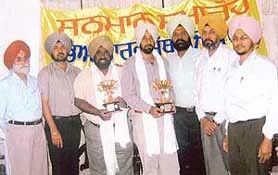 Two NRI’s — Mr Dalbir Suman Halwarari from England and Mr Tanjit Singh from the USA — were honoured by the Sabhyacharak Saath at a function held here yesterday. 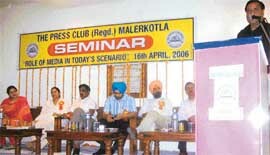 Media, a vehicle to bring about social change, is the only hope for society, asserted speakers at a sub-division level seminar on the ‘Responsibility of media in the present scenario’ organised by the Press Club at the Officers Club at Malerkotla town, near here on Sunday. The Organisation of Young Lawyers today organised a function at District Courts complex to celebrate the 115th birth anniversary of Dr B.R. Ambedkar. Four persons were injured in a group clash over the issue of collections on Baisakhi at a gurdwara at Haryana village, near here. Murti’s Food Establishment launched its new outlet, Murti’s Food Smith, here today. Mr Rakesh Pandey, Minister of Science and Technology, inaugurated it. 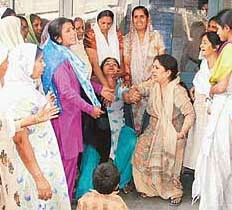 Despite protest by the Bharti Kissan Union, the Asia’s largest grain market here witnessed the arrival of wheat today. Around 10,000 bags of wheat arrived in the market. BKU activists under the leadership of Ajmer Singh Lakhowal and Balbir Singh Rajewal had laid nakas at the entry of the grain market. On the call given by three main factions of the Kisan Union, the dana mandi here wore a deserted look today. Workers of the Kisan Union are sitting on dharna since last evening at both the gates of the mandi stopping tractor-trolleys from entering. 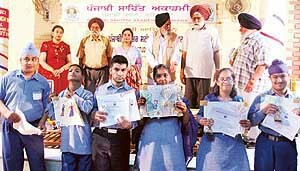 Ms Gurpreet Kaur, a presenter of Punjabi programmes on BBC Asia in Leicester, was conferred the Amar Singh Dhiman Memorial Cultural Award by the Punjabi Culture Study Circle International in a function at Punjabi Bhawan, here, in recognition of her role in promoting Punjabi language and way of life. Monica Sharma, a topper of B.Sc (Agriculture) from Punjab Agricultural University, has got an offer of admission from IIM-Lucknow on the basis of her performance in CAT. The Governor of Uttaranchal, Mr Sudarshan Aggarwal, will preside over the annual prize distribution function of Kundan Vidya Mandir (KVM) on April 19. 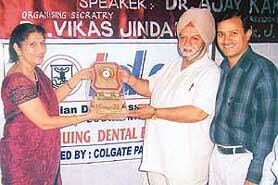 Dr Bhagwant Singh, former president of the Indian Dental Association (IDA) and vice-president of Asia-Pacific Dental Federation, has said that the syllabus of the dental degree course was being made uniform throughout the country and a minimum level of clinical competence would be assured in the near future. 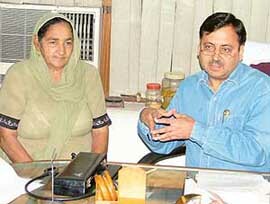 Had it not been for proper diagnosis and timely surgery performed by a city neurosurgeon, Dr Harbhajan Kaur, a 65-year-old woman from Poonian village in Nawanshahr district would have been not only confined to bed with total loss of vision but had also been in great pain and misery for the rest of her life.